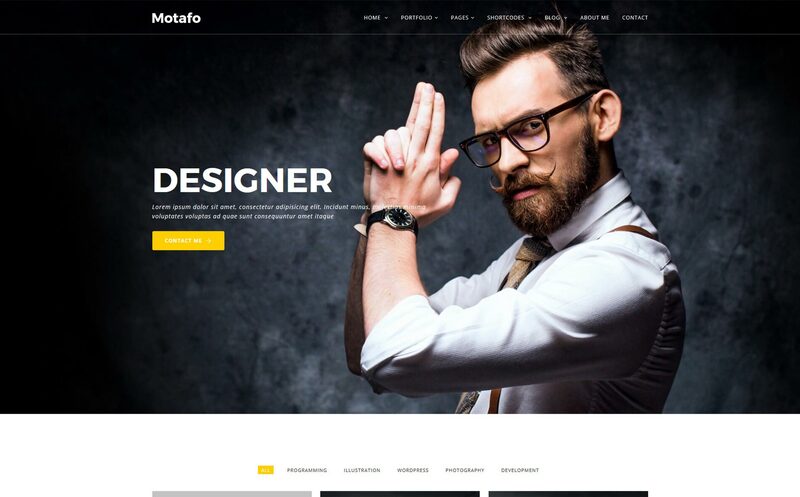 Motafo Minimal Portfolio Template is a high-quality creative HTML5 Bootstrap template the unique style and clean code. 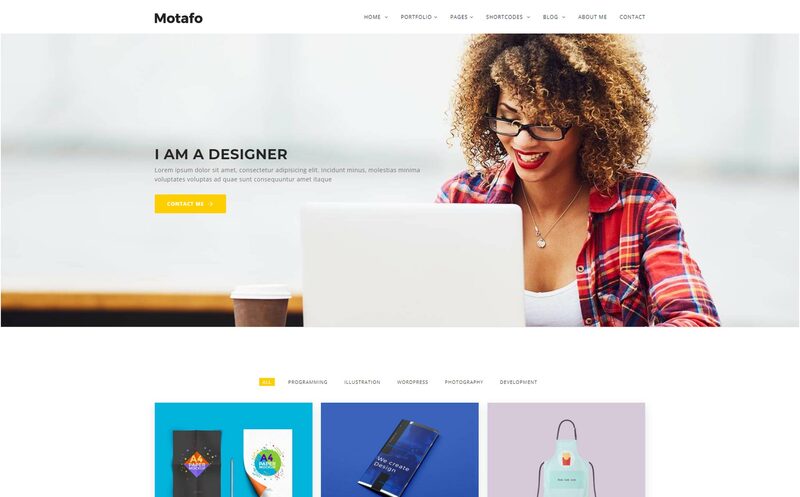 You can use Motafo for many purposes like the minimal portfolio, creative portfolio, designers portfolio, photography portfolio, etc. 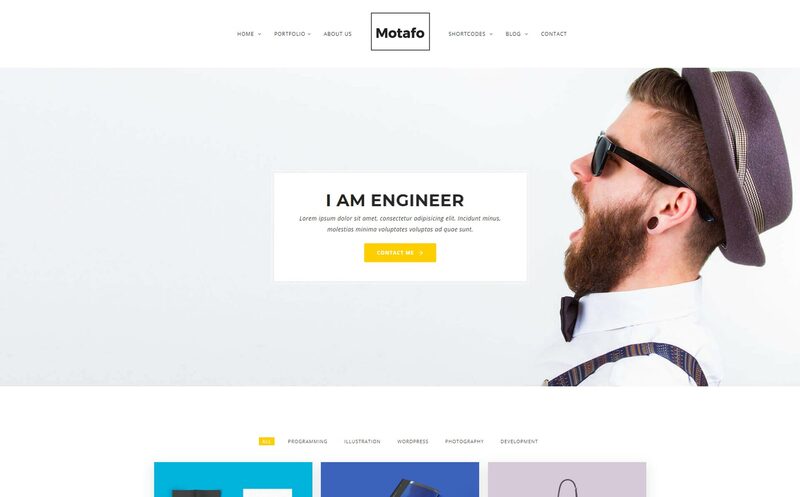 Motafo builds with worlds most popular responsive front-end framework Bootstrap 3.3.7, HTML5, CSS3, jQuery and so many modern technologies. 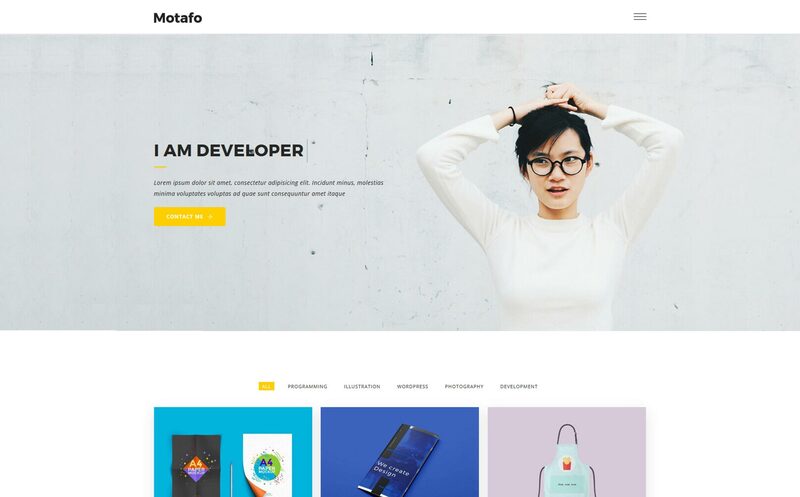 Motafo Minimal Portfolio Template is created and tested on all devices and browsers like Firefox, Chrome, Internet Explorer and it works perfectly without any issue. 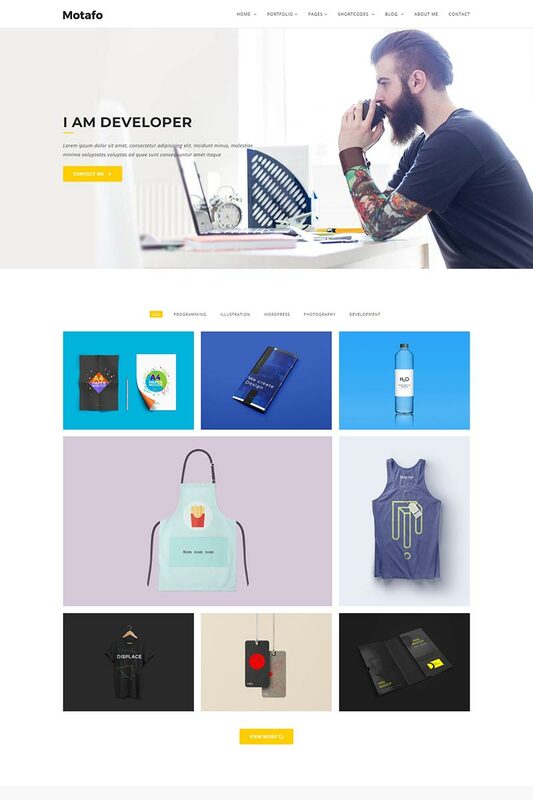 The template also has commented HTML and CSS code for each section included in the template so you can easily adapt Light to suit your needs.